Melanoma is a growing issue, with the number of new cases per year growing at a steady rate. In 2017, it is estimated that there will be 87,110 new cases of melanoma, with 9,730 deaths resulting from the cancer (National Cancer Institute). It’s the fifth most common type of cancer, most commonly occurring in men and is most fatal to those in their middle-age to elderly age. Though skin cancer is one of the most common types of cancer, it is also one of the most preventable. Melanoma is the cause of most skin-cancer related deaths in the United States. 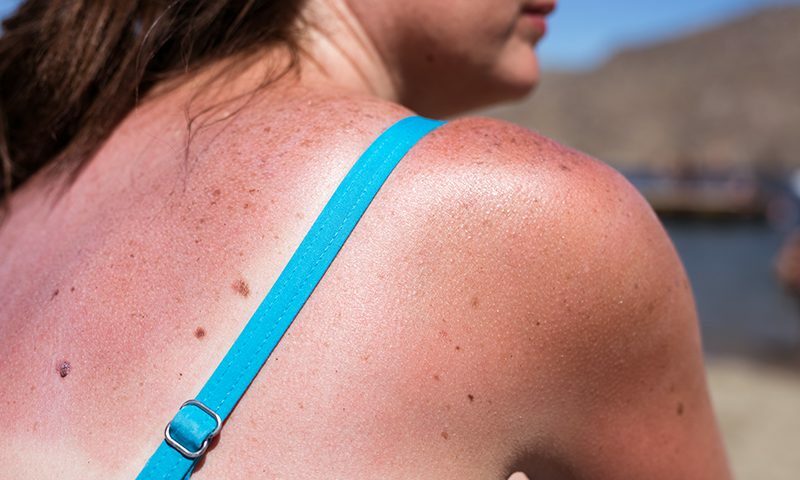 Though the risks are known, the number of cases are growing due to excessive sun exposure, sunbed tanning for cosmetic appeal, and spending extended periods of time outdoors in direct sunlight without sunscreen to protect from the UV rays. Beyond the health threats that come with melanoma, skin cancer and subsequent treatment is a harsh financial risk to those who have developed it. Still, more people are being diagnosed with it every year. Skin cancer treatment has an estimated cost of $8.1 billion each year (NCBI). Though new treatment options have become available to treat skin cancer, it still is a gateway to higher costs associated with getting treated. On top of medical costs, livelihood is threatened by missed workdays and time spent getting treated. If untreated, skin cancer can be deadly. To combat this issue, more awareness needs to be raised about the harmful, deadly, risks of developing skin cancer. Individuals need to protect themselves from harmful UV rays whenever they spend extended periods of time in the sun. In addition, tanning beds need to be known as a harmful cosmetic procedure for all ages. Spreading the word in communities about how easy it is to contract a cancerous tumor on the skin, and the harmful health and financial risks associated with it will help to lower the number of cases each year.